If you have read my blog before you know I love flowers and have a passion for painting them. 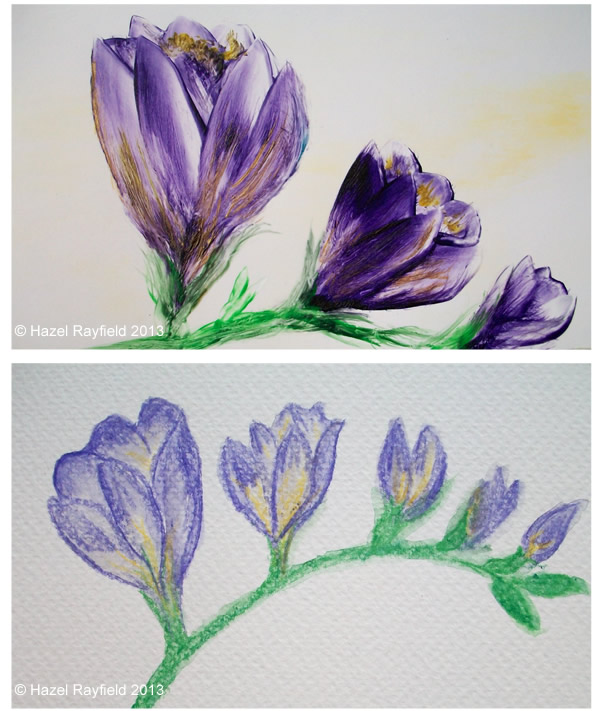 I have been doodling with my watercolour pencils recently, and thought I would have some fun with my wax this weekend and see how a doodle of a Freesia flower translates when painted again in hot wax and this what I came up with, it has a wonderful sheen and texture. I used some purple and gold wax, feathering them together with a hot brush style tool and giving a great texture, which isn’t easy to photograph!